Plastic vs Metal: Who’s Wearing Them and Why? If you had that same feeling as I did when you first stepped into a metal spike, and you study MLB baseball as I do, you’ve probably been shocked to see the number of pro ballplayers wearing MCS (plastic) cleats these days. They’re being worn by both infielders and outfielders, big boppers and base-stealers. Why plastic over metal? The prevailing thought amongst MCS-wearing pros is that the MCS are easier on the feet. They’re lighter and because they have more cleats, they distribute weight better with less pressure points. Though we may not feel it on a day-to-day basis, a 162 game season makes those differences significant enough that many of the world’s elite players are making the switch. Not so fast, though—plenty of great players still have their metal spikes planted firmly in the ground. In this post we’ll take a look at the best players in both camps, what they’re wearing, and why. Phillips’ footwear is as stylish as his play, often switching PE models from game to game. He does show an affinity for the UA Spine MCS, though we’ve seen him wearing metals frequently, too (the UA Natural II is a favorite of Phillips’). Dat Dude is so incredibly athletic that, on days when he’s feeling good, he prefers metal to maximize torque on those acrobatic highlight plays, then probably mixes plastic in on days when his legs are feeling a little weaker to alleviate stress on the joints and feet. Even though he plays the least strenuous position on the field (first base), Joey Votto still needs a break from metal every once in a while. 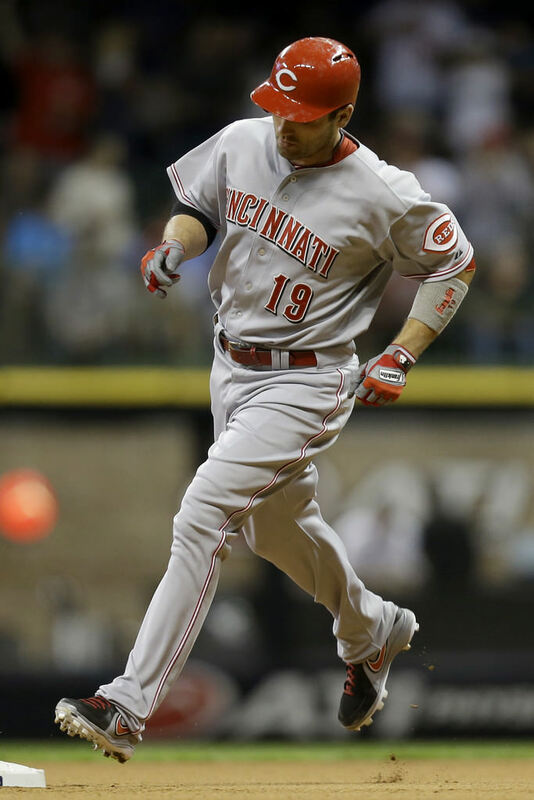 Votto, like teammate Phillips, mixes in the MCS version of the MVP Pros here and there. The majority of the time, though, Votto wears metals. He is one of the most balanced hitters you’ll ever see, and he might prefer the stability of metals to keep his lower half consistent and to create that pole-to-pole power he’s known for. 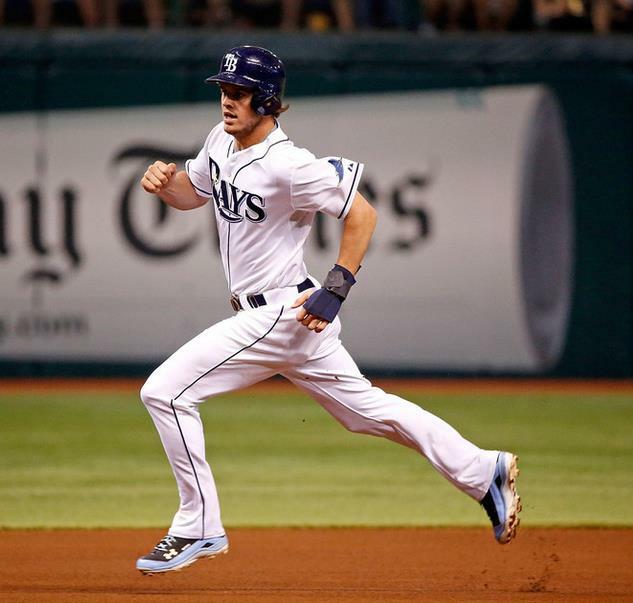 Wil Myers, a 6’3 man-child known for his mythical power rather than speed or defense, goes all MCS all the time. 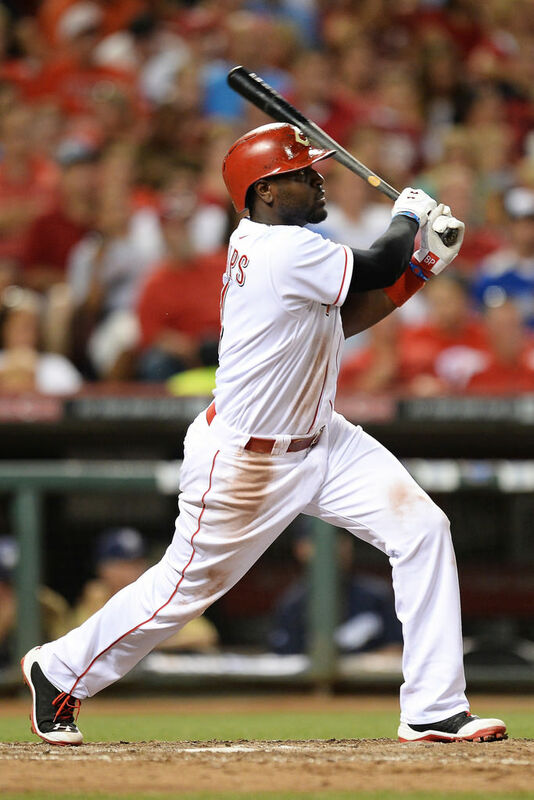 Its clear that Myers’ priorities are staying strong, healthy and in the lineup, and if there is a position on the field you can afford to sacrifice a little agility, it is the corner outfield position. Especially on professionally-kept MLB fields, Myers doesn’t lose much by going MCS over metal. Earlier in Posey’s career, he wore metals. His switch to MCS stemmed from a devastating leg injury back in 2011 when he snapped his ankle on a play at the plate. 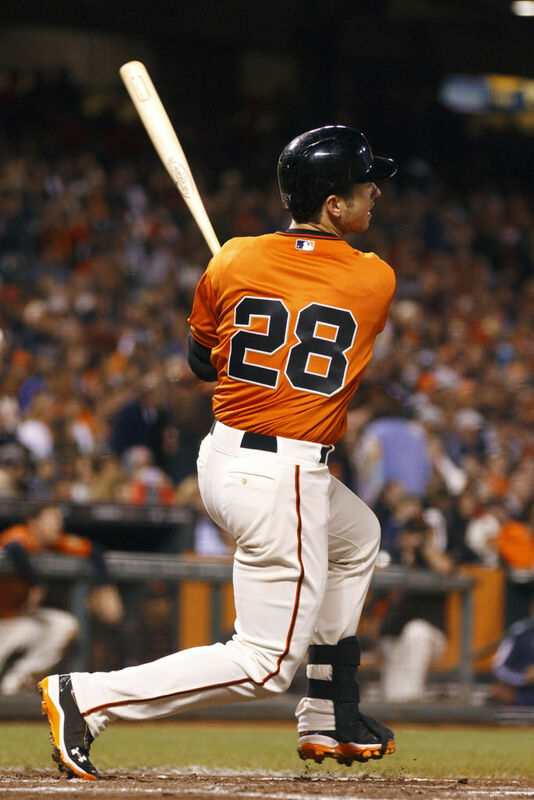 Posey is unique in that he switched BECAUSE of the downgrade in traction he gets from MCS cleats. 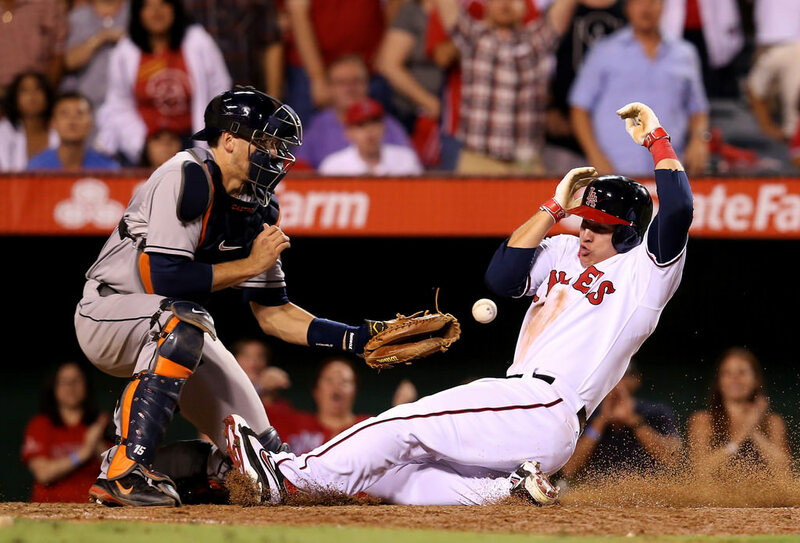 By wearing MCS, Posey accepts the decreased acceleration and handle to avoid having his foot “snagged” in the ground, a common reason for significant baseball injuries and partially to blame for Posey’s stomach-churning ankle injury two seasons ago. The Third Base position is a divisive one on the plastic vs metal issue. Machado, along with guys like Pablo Sandoval, Miguel Cabrera, and Evan Longoria, opts for MCS while guys like Adrian Beltre, David Wright, and Josh Donaldson go metal. Machado is one of the few guys in that group that seems to play exclusively in the MCS (though he played a little bit recently in the Spine metal). Tulo could be the best all-around player in baseball. He’s an elite defensive Shortstop with a hose for an arm and could be the best hitter in the ballpark on any given day. His problem, as you probably know, is staying on the field. Durability has always been an issue for Tulo and MCS cleats are a preventative measure. The Rockies medical staff is getting paid a lot of money to keep him on the field and likely have nudged Tulo towards full-time MCS use rather than occasional use like many of these guys. Despite the last 10 months where Derek has seen a full career’s worth of injuries, he’s back and still rocking metals. At 39 years old, Jeter’s been wearing Jordan metals since the year 2000. That year, Michael Jordan anointed Jeter the first baseball player (other than Jordan himself for the Birmingham Barons) to wear the Jumpman on the diamond. Jeter will do whatever it takes to get on base, and a split-second lost on a slip in the batter’s box could be the difference between an groundout and a rally-starter. Pitchers don’t wear plastic. They work once every 5 days, so there’s really no need for MCS. 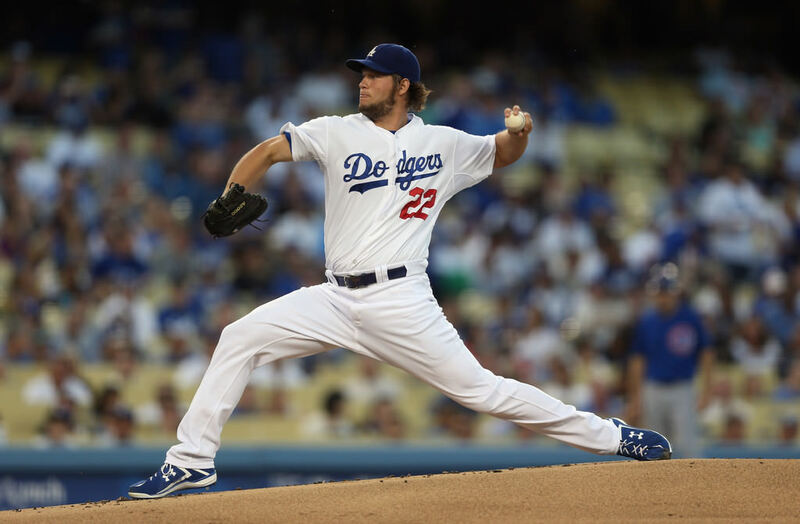 Same story with Kershaw as with Darvish. 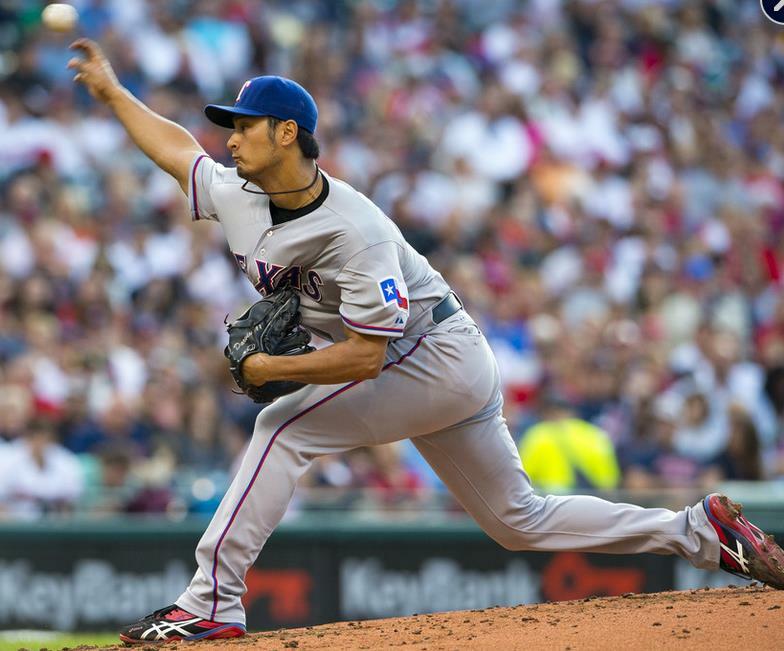 Power pitchers like these two need every last ounce of drive to lengthen their stride to home plate. Why a long stride? Two reasons: acceleration for increased velocity and shortening the distance between your release point and the hitter. For these flamethrowers, metal spikes might be the difference between a 94 mile an hour fastball and 96—not that anyone can hit either. The reigning Triple Crown masher and the Best Hitter on Planet Earth started off the year in New Balance 2000 MCS PEs but switched those out in favor of the metal 3000s. One can only guess why, as ballplayers often make abrupt equipment decisions for reasons unknown. Could have been a slip in the plastics, could have been a 4-4 with 5 RBIs laser show in the metals, but either way Miggy is wearing metals every day now and flirting with back-to-back Triple Crowns, a feat of royalty baseball has never seen before. In fact, only two players have taken the Crown twice since baseball was invented, Ted Williams and Rogers Hornsby, both legends of the game. I think you all could have guessed this. This guy is baseball’s version of the Bugatti. Low, wide, and supercharged. Legend has it that he’s the fastest ballplayer since Mickey Mantle, and metals are the best way to tear through soil and sod as only Trout can. See Trout, Mike. Puig, like Trout, would be a middle linebacker if not for the Original American Pastime. He is the personification of aggression on the diamond, crashing into walls and opponents with zero regard for his or anyone else’s health. 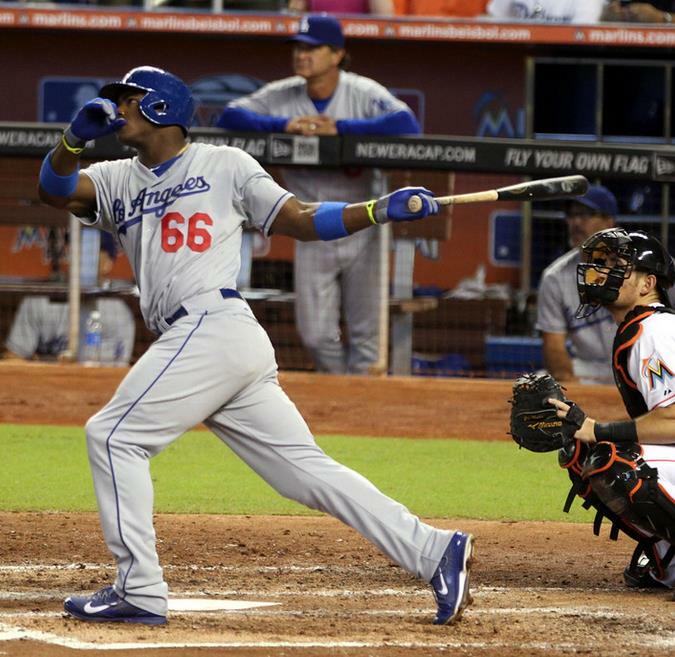 With a bulldog mentality like Puig’s, metal is the logical choice. 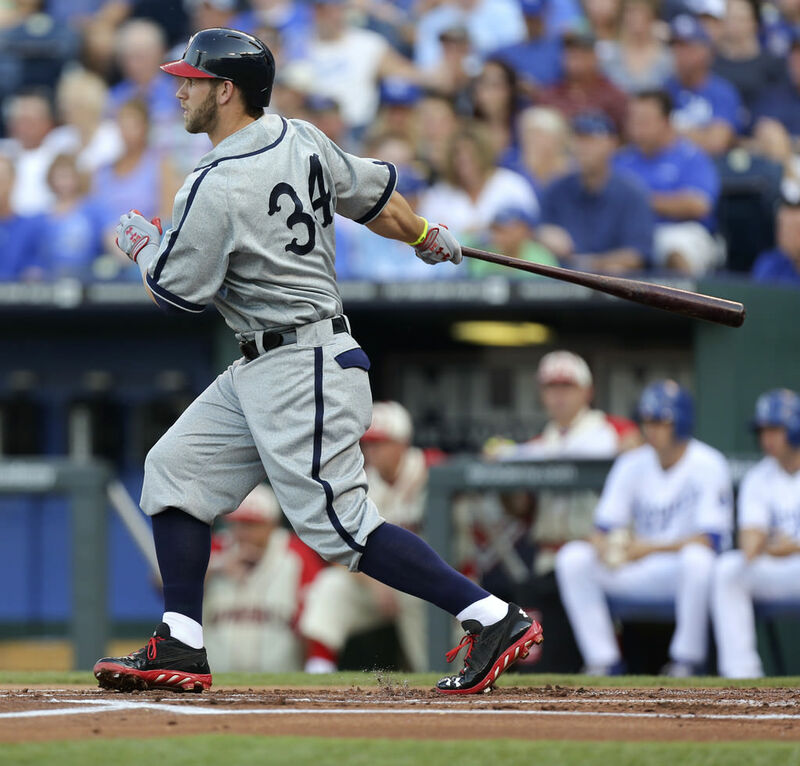 Harper, with his Lebron-like marketability, will be steering the “#baseballswag” ship for the foreseeable future, and his hybrid cleats, with metals under the toe and MCS under the heel, could be the next big thing for aspiring ballplayers with heavy schedules. If you are a serious high school ballplayer, you probably play a lot more than school ball. If you’re playing in the neighborhood of 100 games through the Spring, Summer and Fall, durability definitely comes into play. Harper’s hybrids, though I haven’t worn them, soften the constant pounding on your knees and hips while still giving you the dig necessary for explosive jumps on the bases and in the field. Idolized by so many young players, I predict that Bryce’s hybrid is the next big development in baseball footwear once UA decides to market it as such.